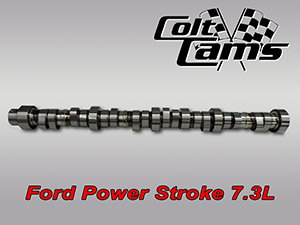 Our stage 2 Ford Power Stroke is a NEW BILLET camshaft, and is designed to be a drop in, no special mods or core return required. The 7.3L Stage 2 has a slightly noticeable idle, quick spool up and drop in EGT's. Our Regular List Price on this cam is $899 US -- on sale now for only $749 US! Click here for more info, or contact us today!